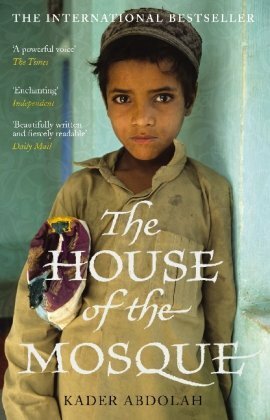 Reminding me of reading Latin American family sagas and of first reading Khaled Hosseini, The House at the Mosque provides a sweeping account of the various branches of a household in the Iranian town of Senejan before, during and after the return of Ayatollah Khomeini . Head of household, Aqa Jaan, is loyal, caring, thoughtful, loving, well respected but he has remained as ever, been somewhat complacent, and has let the world go by without noticing the winds of change. He struggles to realise and cope with the changes happening to the world, to Iran, to his small town, society and his family’s position, role and response to these. From the first use of television to watch the moon landings of 1969 to the modernisation and westernisation of the country under the Shah to the changed level of respect within in the community for him as elder statesman of the bazaar business community as carpet manufacture gives way to oil production and religion is politicised his eyes are finally opened to what is going on. The writer is clearly a good storyteller: his opening chapter about the courtyard invasion of ants could stand on its own as a short story but could also be seen as symbolic of the march of change. The characters of Golbanu and Golebeh, “the grandmothers”, like two ancient giggling girls, percolates the first half of the book. They are always there, often unseen in their regime of bringing order to the household. I’d love to hear how they ended up in the house at the mosque and what they got up to on their trip to Mecca. The first half of the book build for us a picture of the life and people in and intimately associated with the house – Fakhri his wife and their children Narin, Ensi and Jawad; Aqa Jaan’s brother Nosrat always with his camera; Muezzin, the blind muezzin and potter and father of Shahbal; Zinat the old iman’s widow; Sadiq her daughter who marries Khalkal, a politicised iman , their son Lizard, and crazy Qodsi a local girl, a mystic whose incoherent ramblings provide a deceptively insightful visionary thread to the tale. The second half ups the pace and is quite different. It is here that everything is destabilised, that change rears its ugly head and religious and political fervour run riot over all Aqa Jaan holds dear. The reader cannot help but feel for the man as he is both physically, emotional, socially and religiously caste aside as he tried to help and save the various members of his household who in one way or another fall foul of the regime. For me there were two heart rending moments in this: as he desperately tries to find a honourable burial plot for his executed son and is turned away time and time again and as his nephew, Shahbal, kills Aqa Jaan’s grandson as he assassinates an ayatollah. The author weaves history into his story; he weaves snippets from the Koran into his story and creates a storyboard as beautiful and intricate as how he has Aqa Jaan use the colours of the feathers of migratory birds as an inspiration for his carpet designs. The translator’s note to the edition I read indicates that the passages from the Koran are a composite of several different English translations. The author also acknowledge that he has reworked the passages, taken them out of context, mixed lines from one surah with another. Whilst this may not appeal to some readers I accepted this as writer’s license and went with the flow. Likewise there could be some criticism of how he has mixed historical fact and fiction: he has taken real people, created fictionalised accounts around them and woven these into his story such as when Nosrat photographs the wife of Ayatollah Khomeini. The reader needs to be alert to separate historical fact from fiction. At the end, in the final chapter, when Aqa Jaan finally receives a letter from the exiled Shahbal he thought of like a son, this reader was left wondering how close the letter was to the writers own story – ending up in The Netherlands and working as a writer. ashramblings verdict 4*: very readable, a very good piece of storytelling.